Register your school with the ESU in order to participate in the Competition. Click HERE for a list of participating ESU Branches. Check your local branch's page for deadlines and details. For 2019, the ESU is taking the competition where it's never been before! The ESU has always been dedicated to reaching teachers and students of English everywhere. We've heard from teachers who wanted to compete but couldn't because they were in areas without a participating ESU Branch. We listened. For the 36th ESU National Shakespeare Competition we're using technology to reach every high school, every teacher, and every student across the United States! This year the ESU has expanded the competition to include all students, nationwide, regardless of location. Using readily available technology like cell phone cameras, schools without a participating local branch of the ESU can join the fun and be eligible to compete in a live finals round via video streaming. Winners of the Online Finals will travel, all-expenses paid to New York City to compete in the national competition against all our branch competition winners. The National Shakespeare Competition provides teachers across the country with a performance-based program for the study of English Language Arts and Shakespeare. It is a school-based program serving Grades 9-12. Through the Competition, students develop communication skills and an appreciation of the power of language and literature. The Competition has engaged more than 300,000 young people since its inception in 1983.
meet local, state and national standards in English Language Arts and Drama. Students read, analyze, perform and recite Shakespearean monologues and sonnets in three qualifying stages: at the school, community and national levels. Approximately 2,500 teachers and 20,000 students in nearly 60 ESU Branch communities participate each year. 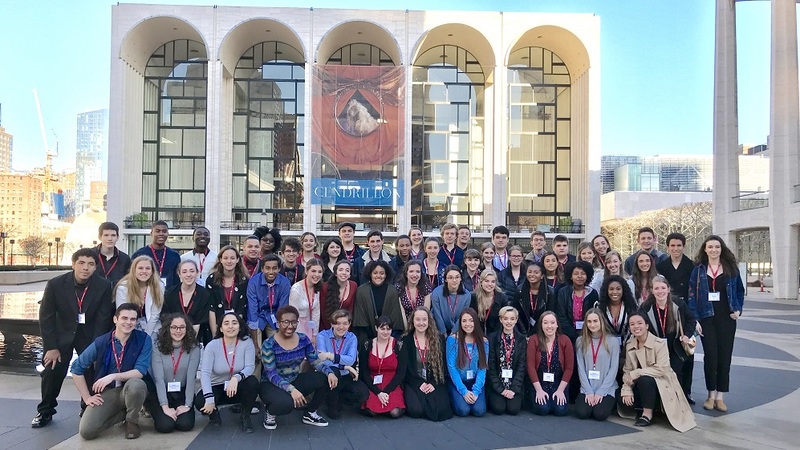 The ESU National Shakespeare Competition has been recognized by the Globe Center (USA), the Children's Theatre Foundation of America and the American Academy of Achievement. Many distinguished judges have served on the Competition panels. Click to read a list of the results. Click to watch videos of the student performers. Click to read the 2017-2018 press release. Click to download the 2017-2018 competition program.